Suckley Post Office shelves are brimming with lots of fabulous gifts for you, your nearest and dearest and your special friends. Avoid the hastle and hussle of Worcester, Malvern and Bromyard and instead #buylocalat your wonderful Suckley Post Office and shop (village store and so much more! ), where we give you a beautiful friendly service and of course superb value for money! 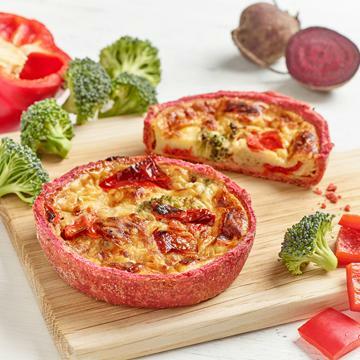 We are delighted to be approved purveyors of Coopers Gourmet Foods, featuring a range of truly delicious and mouth-watering fresh snacks, ideal for filling that lunchtime hunger hole. 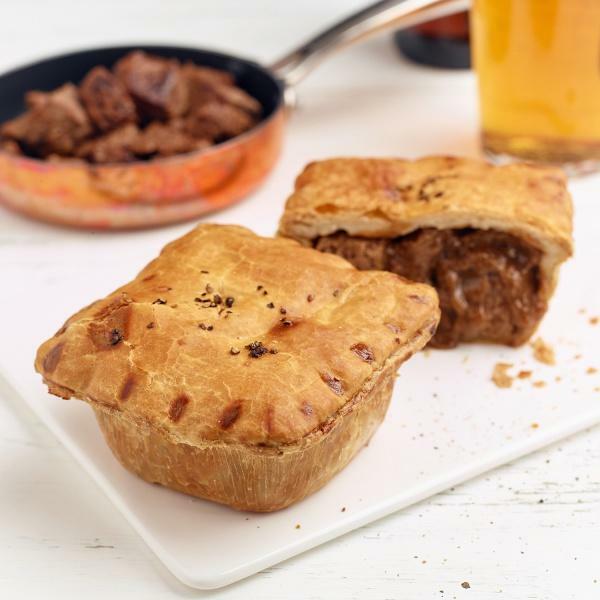 Every snack is pre-cooked and pre-packed, and all available from Suckley Post Office in our chiller. With several delicious flavours to choose from in each range, you’ll never get bored of having to stick with the same-old lunch ever again. Come in and browse our magnificent range of gins, including local gins from Worcestershire and Herefordshire. They make the ideal Christmas gift, and it’s not too early to start thinking about that time of the year! 6 O’clock Gin is a range of strikingly smooth artisan gins, handcrafted in small batches, using traditional skills and only the best natural ingredients. The brand includes London Dry 43% Gin, Brunel 50% Gin, Sloe 26% Gin and Damson 40% Gin. The name was inspired by Bramley & Gage’s long-held family tradition of indulging in a G&T at 6 o’clock; a custom still enjoyed at the distillery and shared by gin-lovers all over the world. 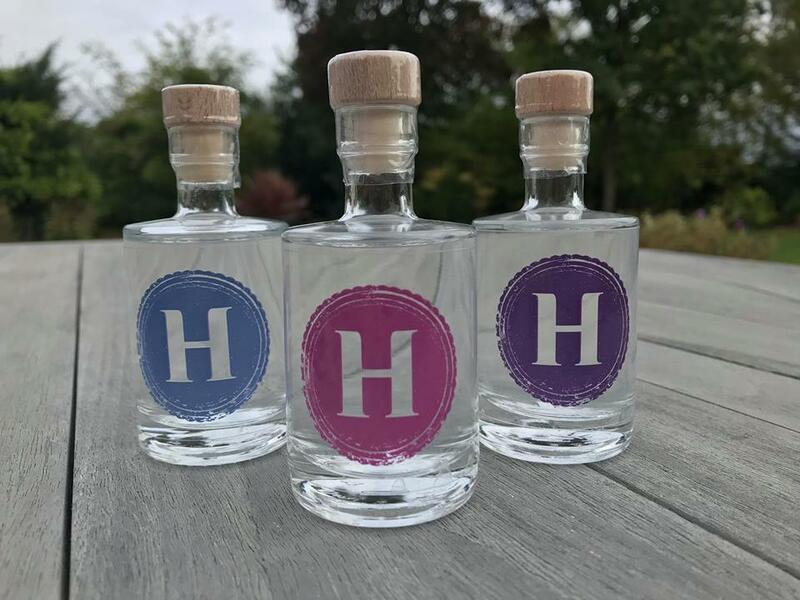 Hussingtree Gin is owned and run by three gin loving family members – husband and wife Richard and Elaine, and Duncan, Elaine’s son. The brand takes its name from the village where Elaine and Richard live – Martin Hussingtree, just north of Worcester. The name reflects both their heritage and one of their core values - the importance of ‘local’. Each of the distilled gins is inspired by the produce of Worcestershire. Working with like-minded local businesses is at the heart of everything we do. What does it mean to build something? A house; a business; a gin? 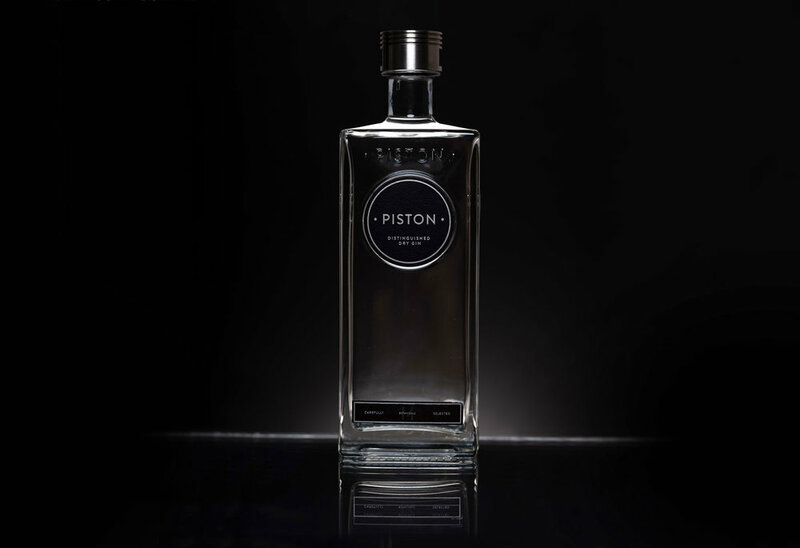 PISTON Distillery was founded in 2018 by Nick Weatherall, by trade a builder, who became so fascinated by the story of gin that he was compelled to create his own. And so he started by building a distillery, in part of the shell of the old Royal Worcester porcelain works. Nick and his team have brought new life to this abandoned and near-derelict historic site – today the Piston Distillery is vibrant and busy with the sounds and smells of twenty-first century, hand-crafted industry as our signature Piston Gin is built, botanical by botanical. They started the distillery in late 2015, and launched our first gins in Summer 2016. Their Lemon Verbena gin quickly became a favourite and won 'Best Signature Botanical Gin' at the Craft Distilling Expo in the same year!Sly Gin is created by hand in incredibly small batches using herbs from their Herefordshire garden combined with traditional botanicals and craftily distilled in grain spirit at low temperatures to capture all the bright fresh flavours. It’s finally blended with naturally pure Holywell Malvern spring water to create a very special gin. You can call us on 01886 884 201 during normal business hours. We are often serving customers, so please leave a message if we are unable to take your call. Use this form to ask us any questions. We aim to reply within 24 hours. Please, no spam! Please ensure you post your items well before the collection times if they need to be sent that day. The Suckley Good Neighbour Scheme (GNS) is available to residents of Suckley and can be accessed Monday to Friday , 09:00 to 17:00 by calling 01886 840 480. The GNS is a local and friendly scheme staffed by Suckley volunteers who will try to help if someone needs assistance. This could be for anything, from changing a light bulb, collecting shopping, form filing, one-off help with gardening or just advice. In addition, several Suckley volunteers have been trained by South Worcestershire Citizens Advice as Community Liaison Volunteers (CLVs) in order to bring to more rural areas friendly, impartial and confidential access to CA's experienced advice. Enquiries may be broad, ranging through issues such as benefits, consumer advice, debt problems, disability, employment and housing, and much, much more. This service is entirely confidential and all Suckley volunteers have been screened by the Disclosure and Baring Service. Access to CLVs is via the same telephone number, 01886 840 480, and they act as a first point of access to advice from Citizens Advice. A CLV is also available from 10:00 to 12:00 noon every Friday morning at Knightwick Surgery. If preferred, you can access the Citizens Advice website at www.advicenetworkworcestershire.org.uk and email your enquiry direct to CA. Alternatively, ring 01684 563 611 betwen 10:00 and 16:00 any weekday except Wednesday to speak to an adviser. We're here to help. Please get in touch. The circular bus route 423 runs through Alfrick to Worcester to Suckley, Monday to Saturday. There is no Sunday service. The circular bus route 420 runs through Hereford to Worcester to Bromyard, Monday to Saturday. There is no Sunday service. The Worcestershire Way is an idyllic walk that takes you from Bewdley in the Wyre Forest District, all the way south through our picturesque parish of Suckley with its outstanding vistas atop the Suckley Hills. and onto Great Malvern where you can enjoy splendid views of the Malvern Hills. The Worcestershire Way follows an undulating terrain to ensure you give your legs a good workout. The Worcestershire Way passes through Suckley and alongside us (Suckley Post Office) in Longley Green (labelled PO on the map below), where the route dog-legs after Batchelor's Bridge to take you up into the Suckley Hills. We're an ideal stop-off point for a hot cup of tea or coffee, or an ice cream and cold squash. The Worcestershire Way takes you through or near the following towns, villages, locations and landmarks. Major villages and towns are marked in bold. The locations on the left are shown in their corresponding maps on the right. Click the maps to see a larger image. All maps shown on this page are courtesy of gps-route.co.uk. 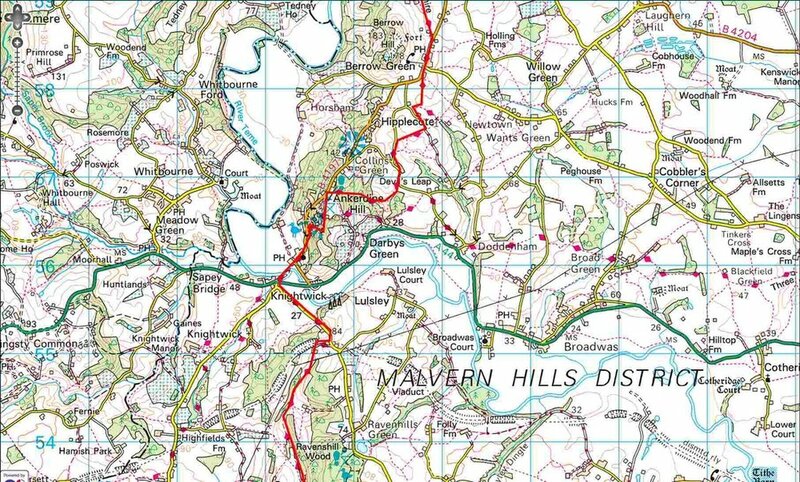 Their site hosts an interactive map of the Worcestershire Way, superimposed onto the Ordnance Survey map. 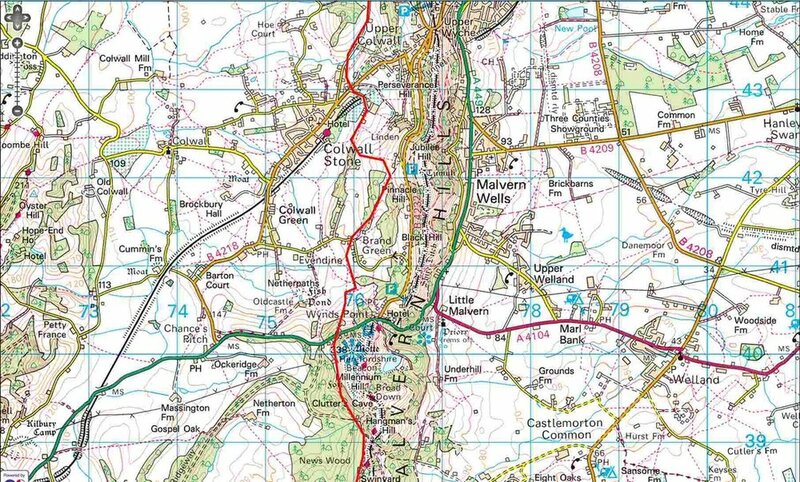 Click here for the interactive map of the Worcestershire Way. "The first free Suckley newsletter since 2003 was delivered (on paper) in October 2010 to all residents. The idea comes from the Suckley Community Plan, formulated earlier in 2010, and aims to support the local community by publicising local parish activities and community run projects. "The newsletter features local activities, events and issues, useful information and points of contact, as well as offering opportunities for local businesses to advertise. It gives Suckley residents an additional way to find out what's going on locally and to get involved in community run projects and activities." The newsletter was last published in December 2015, but is now out of print due to lack of resource to compile and edit it. If you think you have the time and the skills to revitalise this important local service, please contact us at the Post Office. Previous issues are available for download in PDF format and listed below. Click on a month and the corresponding newsletter will open in a new window. If the newsletter does not show, you may need to download a PDF viewer such as Adobe Acrobat Reader, which is available here.